“POSSIBLY THE SINGLE GREATEST DRY RED WINE VALUE IN THE WORLD.” Robert Parker´s Wine Advocate. Issue #203. Characteristics of the vineyard: Vineyards with an age of 15 to 25 years on stony and slimy soils with clay and limestone. Elaboration: Pellicular maceration during 3-4 days and in total between 10-12 days. Separate fermentation of each variety in stainless steel tanks at a controlled temperature of between 22º-24º C.
Tasting notes: Cherry red with violet nuances. Has a ripe fruit nose with floral tones. Full bodied wine, spicy and with a complex and long aftertaste. For any question do not hesitate to get in touch. We will be delighted. 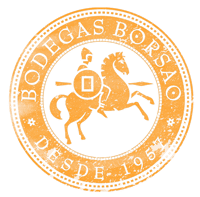 I consent to Bodegas Borsao collecting my details through this form.